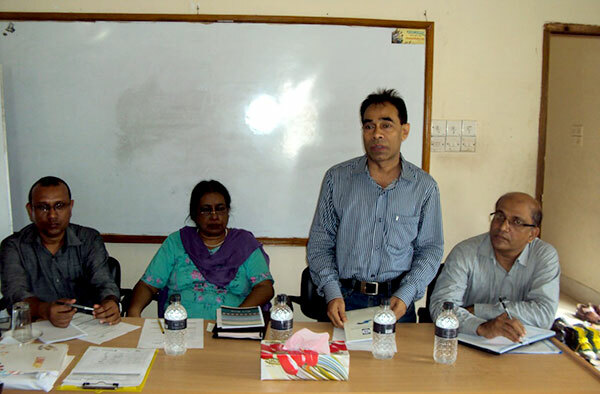 YPSA organized a divisional coordination meeting with HASAB, Marie Stopes and all Link Up partners of Chittagong Division at YPSA HRDC on 15 September’14. Dr. Najmus Sahar Sadiq, Project Director and Team Leader of HASAB Consortium, Fazla Khuda, Program Specialist of HASAB, H.M Asaduzzaman, General Manager, Service of Marie Stopes, Md. Mahabubur Rahman, Director-Social Development of YPSA, Dr. Sudipta Sarkar, Program Officer of HASAB, and all Link Up partners of Chittagong division were present in the meeting.